Spoiler alert! Long-stemmed red roses continue to be the most popular flower for Valentine’s Day. But that doesn’t mean you can’t find beautiful alternatives. Whether you are buying flowers for your long-term love, someone you just started dating, or a family member, we have this year’s most popular Valentine’s Day flowers ready to help. Valentine’s Day gifts including flowers, chocolate, and jewelry have been exchanged for centuries. The popularity of the red rose goes back even further, as it was believed to have been the favorite flower of the Goddess of Love, Venus. 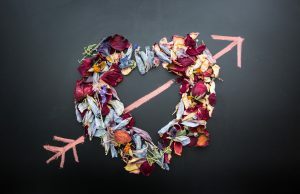 So, what are this year’s most popular flowers for Valentine’s Day? Although we have already mentioned red roses, pink roses are also very popular. They are associated with perfection, beauty, love, and romance, making them apropos for the holiday of love. White roses stand for purity, light pink for admiration and gentleness, and dark pink roses symbolize appreciation. Red is the color of the day, and red carnations are the second most popular, and less expensive option for Valentine’s Day. They are associated with new love and freshness, making carnations the ideal gift for a budding relationship. Orchids continue to climb up the list as they denote similar meanings as roses, including beauty and love, while adding strength and luxury. Tulips in red or pink are a popular option for new relationships. As with roses, each color of tulip symbolizes a unique quality. White is for forgiveness and yellow for cheerfulness. Gardenias represent love, purity and joy. They are one of the most fragrant of Valentine’s Day flowers and may be given individually in a bowl. Peonies represent a prosperous marriage and are the 12th anniversary flower. They are a popular choice for giving to a loved one as they also symbolize romance and good fortune. Lilies, including stargazers and alstroemerias are popular Valentine’s Day choices. They can be mixed in with roses, carnations, and other flowers, or presented as a bunch in a vase. Perhaps the most popular lily for the season is the Casa Blanca lily, which makes a stunning presentation with its large fragrant blooms. Giving one of this year’s most popular flowers for Valentine’s Day is the perfect way to show someone you care. Our local florists can help you choose the perfect gift based on your budget and relationship status. Whether you choose a single gardenia or a dozen red roses, they will be a hit. If you need help finding a florist, jeweler or another gift idea for this Valentine’s Day, check out the Chamber’s online Business Directory (click on “shopping” and then “florists”).